It has become tradition for the annual Apple Harvest Day 5K Road Race to kick-off the Seacoast's premier autumn street festival, Apple Harvest Day. The 5K starts and ends on River Street. The USATF certified course winds through historic downtown Dover and is perfect for advanced runners as well as beginners and families. Once you finish the race, head to Central Avenue, Henry Law Avenue and Third Street where over 60,000 people are expected at the 34th Annual Apple Harvest Day! 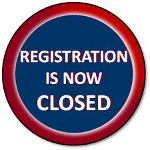 Online Registration will close on Tuesday, October 2nd. In-person registration will take place on race day starting at 7:00am at the Dover Skate Park on River Street. Registration is $20 for adult runners (ages 16 and over, $25 after October 2nd) and $15 for children (ages 15 and under, $20 after October 2nd). Almost 800 runners participated last year. Bib number pickup will be on October 5th in Henry Law Park from 5pm-7pm. In addition you will be able to register for the race as well. The race will begin promptly at 8:30am from River Street (near the Tommy Makem Bridge on Washington Street). For more information contact Greater Dover Chamber of Commerce Community Events Manager, Morgan Faustino at events@dovernh.org or 603-742-2218. 5K Road Race underwritten by Wentworth Health Partners - Othropedics & Joint Replacement. 5K Road Race directed by No Finish Line Running.